My Private Coaching programs are especially designed so you can see unprecedented growth in your child in every fundamental area of development. 1.Targeted Goals and customized strategies. Parents often come to me not knowing what goals to prioritize or what strategies to use to achieve those goals. I will guide you so you can know exactly what goals to focus on and what strategies to use to help your child get there. Once you have targeted goals and customized strategies, it is crucial to have a strong partnership so you are supported along the way. My job is to help remove barriers that are getting in your way so your child can truly flourish. Without ongoing support many parents find themselves lost and unfocused – this is your chance to put an end to doing it alone and witness a remarkable momentum of growth in your child! Working with me requires you to ‘show up’ each and every month in a targeted way. This is designed to help you stay focused and empowered, especially when life is hectic or you are overwhelmed with other responsibilities. You are looking for short-term coaching so you can ‘turn the corner’ with your child and create movement and growth where you might otherwise feel stuck. You want a clear sense of what goals to focus on with your child and how to achieve those goals. You want a fresh perspective on your child by a professional so you can create a new momentum in your child’s growth. 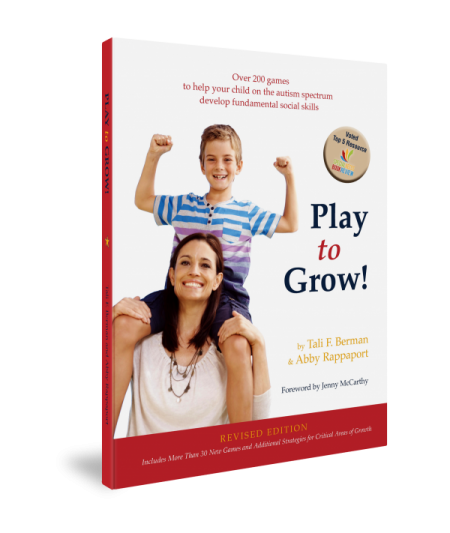 You are ready to go ‘all in’ in creating massive change with your child AND have renewed energy and focus for you and your team over the course of an entire year of your child’s development. 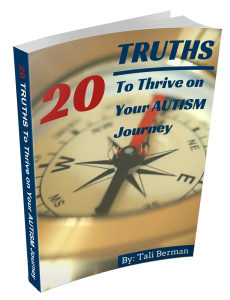 Enter your best e-mail to receive my “20 Truths to Thrive on Your Autism Journey” guide. Plus, receive my weekly video blogs packed with more tips! Something I never knew about autism.